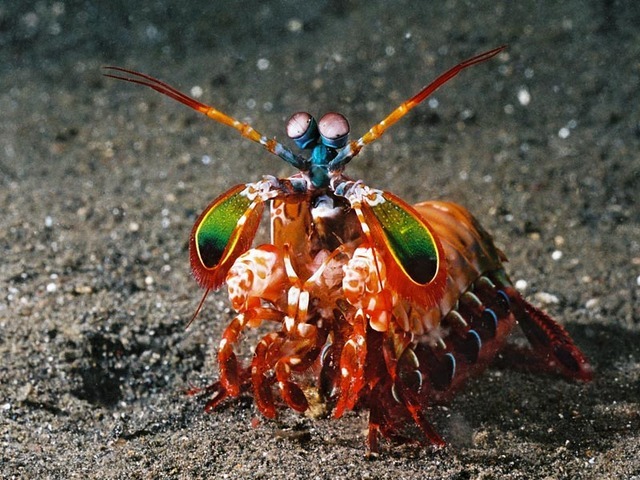 I couldn't help but jump on the bandwagon and share this great little infographic about the Mantis Shrimp, a truly awesome animal! It has 16 color receptors, arms that can deliver a blow as powerful as a .22 caliber bullet, feet that move so fast they can boil water, and the ability to deliver an underwater shockwave! Houdoken! Aaaaand, they look as awesome as they sound.